for RealAudio version of River Song, excerpt, 2:19 / 135K. for TrueSpeech version of River Song, excerpt, 2:19 / 144K. for MPEG-2 version of River Song, excerpt, 2:19 / 541K. 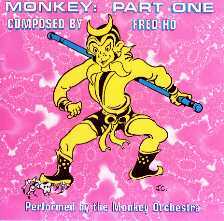 Fred Ho ... 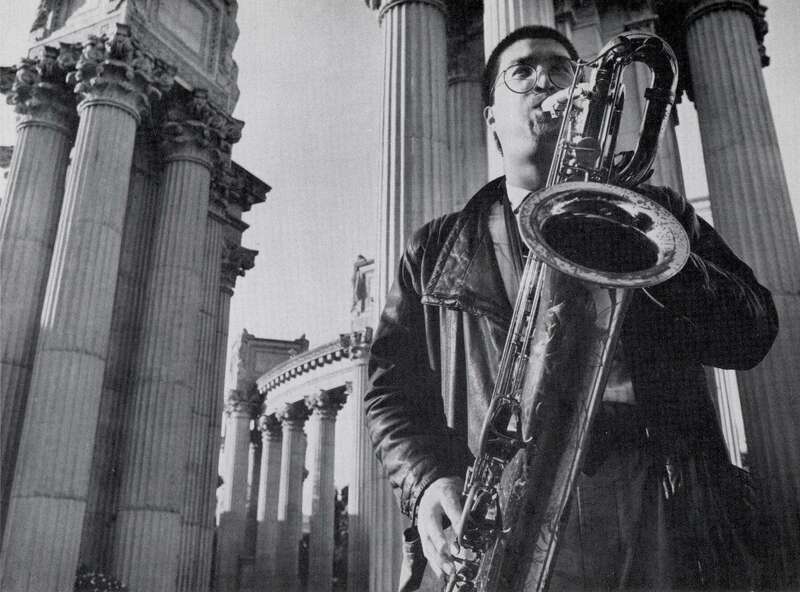 Baritone saxophonist, composer, writer, political activist, and leader of both The Afro Asian Music Ensemble and The Journey Beyond The West Orchestra, Fred Ho is one of today's leading Asian American artistic talents. As a composer and performer, Ho works at the edge of forms, masterfully combining folk music elements from Asia and the Pacific Islands within a 20th-century African American context deeply influenced by Charles Mingus, Duke Ellington, John Coltrane, and Cal Massey. The result is an elaborate, yet fiercely swinging and soulful music, visionary in its embrace of a 21st-century American multiculturalism, which "is neither easily pigeonholed nor easily ignored." (The Washington Post). "This is a music which is at once highly social, political and above all swings with great feeling," The Chicago Observer comments. "It is a statement that music can address our social ills and still be uplifting." The Afro Asian Music Ensemble, a group Ho founded in 1982, was first featured in Tomorrow Is Now!, a Soul Note release voted Best Large Ensemble Album of 1986 by The Chicago Observer. "Although just a sextet, the ensemble often sounds twice that size," writes The Washington Post, "as it combined passages of brash, daring, visceral jazz with a multi-cultural tapestry of melodies, textures and rhythms." The group's second album, We Refuse to be Used and Abused, became one of Coda Magazine's Favorite Albums in 1986, and both albums, Tomorrow Is Now! and We Refuse To Be Used And Abused, were voted Village Voice Critics Choice of the Decade. Most recently, Soul Note released The Underground Railroad To My Heart which was voted one of the best albums of 1994 by The Village Voice and praised by Down Beat Magazine as "a pioneering fusion of freejazz and traditional Chinese music that manages to combine truculence and delicacy with such natural ease that it sounds positively organic." Ho's instrumental composition Contradiction Please! The Revenge of Charlie Chan can also be heard on the Relache Ensemble's new recording, Outcome Inevitable, released by O.O. Discs. Fred Ho has received several prestigious awards, including two National Endowment for the Arts Fellowships (Opera-Musical Theater in 1994 and Music Composition in 1993), a 1994 and 1989 New York Foundation for the Arts Music Composition Fellowship, and a 1988 Distinguished Artist Lifetime Achievement Award given by the 17th Annual Black Musicians conference at the University of Massachusetts. 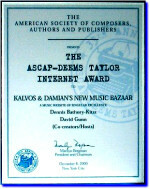 He is also the recipient of a 1987 Peter Ivers Visiting Artist Fellowship at Harvard University and several ASCAP and Meet the Composer grants. 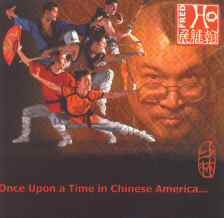 A longtime activist in the Asian American community, Ho helped to found the East Coast Asian Student Union, the Asian American Resource Workshop, AsianImprov Records, the Asian American Arts Alliance, and many other organizations as well as cultural and political projects. He lectures extensively in universities and colleges across the country and has published many articles and essays on music and social change, revolutionary political and cultural theory, Asian American history, politics and culture. Ho has co-edited a book on politics and music, Sounding Off! Music as Subversion/Resistance/Revolution (Automedia), which was just selected by the Before Columbus Foundation as the 1996 winner of the 17th annual American Book Awards. "The White Peril: Too Wrong for Too Long! burned with a seething inner flame, its passion so restrained and compressed that it shot out of his sax bell in pithy phrases of irresistibly cogent logic ... Rage eloquently channeled is always a thrill." "Fred Ho's style is a genre unto itself, a pioneering fusion of freejazz and traditional Chinese music that manages to combine truculence and delicacy with such natural ease that it sounds positively organic." "Turn Pain Into Power was charged with such anger, longing, affirmation and beauty that it almost defied the listener to turn away ... Although just a sextet, the ensemble often sounded twice that size as it combined passages of brash, daring, visceral jazz with a multicultural tapestry of melodies, textures and rhythms." "Sometimes such insistence in blending musical and political messages can be a smoke screen for the untalented, but not here. 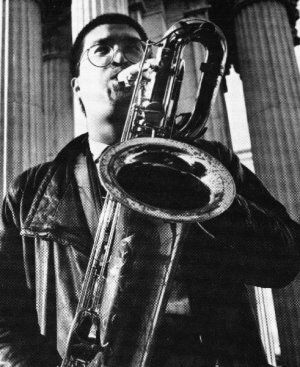 Ho is a gifted and inventive baritone saxophonist; what's more, his music manages to be committed (even angry) without rancor, instructive without cant." 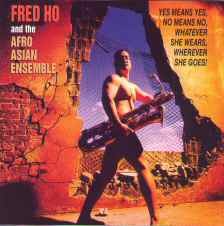 "Fred Ho and the Afro-Asian Ensemble offer live jazz as it hasn't been seen in 30 years while introducing Asian touches that define another side of this talented and many faceted group. The range of musical directions Ho and company use and their smoothness, sincerity and undisputed talent make them a live event that should not be missed." "...the evolution of jazz depends on daring pioneers like Ho, visionaries working at the edges of the form." The Underground Railroad to my Heart (Soul Note): "The work had great energy as well as virtuosity and color..."
"This new and quite astounding recording of the "under-appreciated" Chinese American activist Fred Ho and his Afro Asian Music Ensemble proves one more time that, after Charlie Haden and Horace Tapscott, American leftism is a seedbed for composers who don't feel compelled to chase after a pretty melody ... Fred Ho brilliantly succeeds in combining Chinese tradition with Jazz. I won't attempt to describe the result. Try it: you're in for a ride!"